The new budget of 2015-16 has brought some notable changes. Our honorable Prime Minister has announced insurance schemes that have low premiums. It is planned to expand significance of insurance all over India. Let’s know more about the jeevan jyoti bima yojana. ‘Pradhan Mantri Jeevan Bima Yojana’ is prepared to give facility of life insurance especially to poor people of India. Here are eligibility criteria to get the scheme. The person’s age should be between 18 to 50 years to avail this scheme. Moreover, a bank account is must for this scheme. In addition, if the account of person is opened before 50 years of age, then the life cover will stay integral up to 55 years of age if premium is paid on a regular basis. How to get the Benefits of (Pradhan Mantri Jeevan Bima Yojana) scheme? First of all you need to link your Aadhar Card with your bank account. If you don’t have an Aadhar Card then apply for it today. Once your Aadhar Card is linked you just have to fill up the application form and submit it before 1st June 2015. Moreover, you have to fill up the application every year before 1st June to renew the scheme. Just like Pradhan Mantri Jan Dhan Yojana, this is new Government Scheme announced by Finance minister. In the application form, there is option of nominee along with relationship. You have to make a choice for nominee and submit the form. If your nominee is minor, then you can give the name of your guardian as well. ‘Pradhan Mantri Jeevan Bima Yojana’ premium payable is 330 Rs. per annum. Moreover, there is only one method to pay the premium. The premium of your scheme will be auto-debited from your account directly. In addition, risk coverage of this scheme is 2 Lakh Rs. in case of death for reasons such as accidental or natural death. You can avail this scheme at all the public sector insurance companies like LIC (Life Insurance Corporation) of India and other private insurers as well. In addition, the premium for this scheme is completely tax-free. As of now, you are familiar with the “Pradhan Mantri Jeevan Jyoti Bima Yojana”. Here, I have included some of the frequently asked questions by readers. Have a look at it once. 1. Who can apply for Pradhan Mantri Jeevan Jyoti Bima Yojana? The subscribers whose age is 18 to 50 can apply for this scheme. Every individual must have a saving account in any respective bank. 2. What is the nature of the “Pradhan Mantri Jeevan Jyoti Bima Yojana” scheme? This scheme is a one year cover term life insurance scheme. It is renewable from year to year as well. It provides life insurance cover for death due to any reason. 3. What is the premium payable for the scheme? The subscriber will have to pay Rs 330/- per annum for this life insurance scheme. Moreover, Rs 2 Lakh is payable on a subscriber’s death due to any reason. 4. How can I pay the premium? The premium will be subtracted from the account holder’s account via “auto-debit” facility in one installment according to option to be given on enrolment. 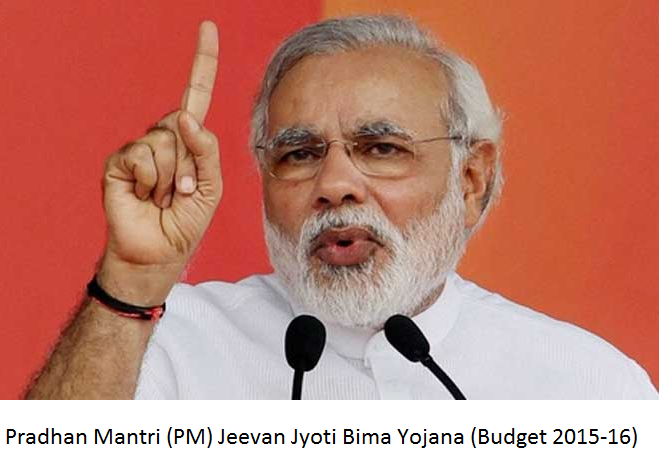 5. Who will offer the “Pradhan Mantri Jeevan Jyoti Bima Yojana” scheme? This scheme will be offered by the Life Insurance Corporation (LIC) of India and other life insurance companies. 6. What is the enrollment period? The cover period of the scheme is 1st June 2015 to 31st May 2016. The subscribers are expected to enroll and provide their auto-debit option by 31st May 2015. Moreover, the date is extendable up to 31st August 2015. 7. Can I rejoin the scheme once left? Yes, you can rejoin the scheme in future years by paying the annual premium. You need to submit the self declaration of good health as well. 8. On which date I have to renew the scheme? Candidate will have to fill up the application for renewal of the Pradhan Mantri Jeevan Jyoti Bima Yojana scheme on or before 1st June of every year. 9. What is death claim under PMJJBY? The subscriber will have to pay the claim amount in relation to the death benefit in the name of the Nominee of the decreased scheme member. 10. Is it necessary to link your Aadhar Card with your bank account to get the scheme? Yes, you need to have Aadhar card and savings account to get the scheme. In addition, you must link your Aadhar Card to your bank account first. Update :- Pradhan Mantri Jeevan Jyoti Bima Yojana has been official announced by Prime minister Narendra Modi. He also launched Pradhan Mantri Suraksha Bima Yojana and Atal Pension Yojana too. He launched all 3 social security schemes in kolkata. Application form of Pradhan Mantri Jeevan Jyoti Bima Yojana Download from here. If you have any question or query you can call official helpline of 1800-180-1111 / 1800-110-001 (Toll free). Want to get the scheme? Join the scheme and take advantage of low rate Life insurance from Government of India.